Today, parents wanting the best for their children’s intellectual development can turn to a number of “educational” digital apps, a variety of “brain-based” teaching strategies and curricula, and a never-ending stream of videos, toys, games, and other products all purportedly grounded in the latest research on brain development and learning. And yet these products have virtually no direct connection with actual scientific research, say APS Fellows and longtime collaborators Kathy Hirsh-Pasek (Temple University) and Roberta Golinkoff (University of Delaware). Despite what some companies might want you to believe, there is no evidence to suggest that your baby can learn to read. The problem, Hirsh-Pasek and Golinkoff argue, is that the marketplace has effectively become the means through which most people — including parents, educators, and policymakers — learn about the latest in developmental “science,” some of which turns out not to be scientific at all. Solving this problem requires researchers to become more actively involved in bringing their science to the public. Hirsh-Pasek and Golinkoff, corecipients of the 2015 APS James McKeen Cattell Fellow Award, showed how focusing on “use-inspired research” has enabled them to leap across the traditional boundaries between basic science and applied research and engage in meaningful scientific outreach. 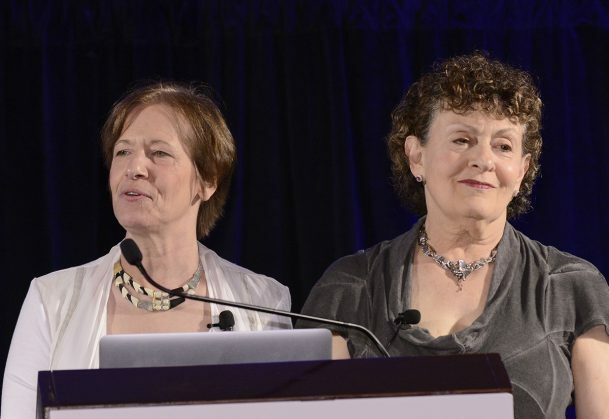 The researchers delivered their award address at the 2015 APS Annual Convention in New York City. Merging Basic and Applied Science Borrowing from a framework set forth by political scientist Donald Stokes, Hirsh-Pasek and Golinkoff detailed two dimensions — the quest for fundamental understanding and consideration of use — that describe how scientists approach their work. Some prominent scientists, including physicist Niels Bohr, physicist and chemist Marie Curie, and psychological scientist Edward Titchener, fall squarely into the basic-science camp, pursuing work focused exclusively on enhancing our understanding of the world. These scientists did not concern themselves with — and in some cases actively rejected — thinking about how their work might be used. But many others have pursued lines of research that simultaneously aimed to inform basic theory and generate real-world insights, including such eminent figures as chemist and microbiologist Louis Pasteur, anesthesiologist Virginia Apgar, and developmental psychologist Urie Bronfenbrenner. This quadrant, where basic and applied research meet, is uncharted territory for many scientists, but Hirsh-Pasek and Golinkoff dove in headfirst following on the heels of a widely cited study on children’s language development. 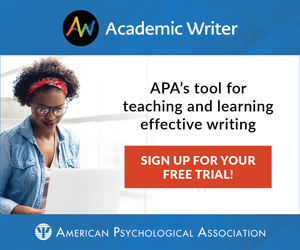 In 1995, researchers Betty Hart and APS Fellow Todd Risley reported findings indicating that children whose parents received welfare benefits heard, on average, three times fewer words per hour than did children whose parents came from professional backgrounds. Over the course of childhood, children from disadvantaged backgrounds would hear about 30 million fewer words than their well-off peers, limiting their vocabulary and potentially hampering their ability to read and extract meaning from language. The idea of a “30-million-word gap” came as a shock to researchers, educators, and policymakers alike. The message that language quality also matters to children’s language development, put forth by Hart and Risley and by others, got lost in the fray. Building on previous work, Hirsh-Pasek and Golinkoff decided to revisit the question: Is it really all about the number of words that pass through children’s ears? Drawing from a large data set collected as part of the Eunice Kennedy Shriver National Institute of Child Health and Human Development (NICHD) Study of Early Child Care and Youth Development, Hirsh-Pasek, Golinkoff, and colleagues examined the data for 60 children of low-income parents. They divided the children into three groups based on several measures of language ability in an attempt to answer a basic question: How do quantity and quality of parent–child interactions at age 2 contribute to language ability at age 3? The results were clear: Quality mattered. Together, the three measures of parent–child interaction quality uniquely accounted for 16% of the variability in children’s language scores 1 year later, whereas the overlap between quality and quantity accounted for an additional 10% of the variability. Quantity of language alone accounted for only 1% of the variability in children’s language scores. parent–child contingency is also critical to children’s ability to learn from TV and from video chat. And their findings have clearly demonstrated that interruptions to parent–child interaction, such as a ringing cell phone, ultimately impair children’s learning. Together, these findings join others by Erica Cartmill, Meredith L. Rowe, and APS President-Elect Susan Goldin-Meadow, among others, to cast new light on the 30-million-word gap, underscoring the fact that the gap cannot be closed by simply exposing kids to more words. 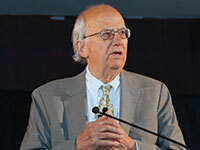 Focusing on use-inspired research led Hirsh-Pasek and Golinkoff to these important findings, but the psychological scientists knew they had to go one step further, leaping beyond Pasteur’s and Bronfenbrenner’s quadrant to translate the findings into “edible science” that would be accessible, digestible, and usable by the public at large. One way to create edible science, the researchers say, is to develop a set of general principles that emerge from a certain body of knowledge. Focusing on principles allows scientists to offer evidence-based guidelines that transcend demographic characteristics or other cultural factors. In sharing their work, Golinkoff and Hirsh-Pasek recently have focused on translating their findings into edible science by disseminating entire learning experiences. Drawing from their own findings on parent–child communication, for example, the researchers sought to discover if they could increase the amount and quality of parent–child interactions in a natural, everyday setting. They spent $60 to print signs containing basic prompts, such as “What’s your favorite vegetable?” and “Can you find another apple?” On certain days, they placed these signs throughout supermarkets, effectively turning the stores into their own naturalistic experiment. The low-cost “intervention” produced notable results: At supermarkets in low-income neighborhoods, the researchers saw a 33% increase in parent–child interaction on the days that the signs were posted compared with days when there were no signs. And in 2010, the researchers and their collaborators drew more than 50,000 parents and children to the Ultimate Block Party in New York City’s Central Park. With the support of a grant from the National Science Foundation, the team set up 28 scientist-approved activities that tapped into various cognitive capacities, including spatial learning, executive function, literacy, and mathematics. While many initiatives aimed at applying the science of learning to real-world settings are focused explicitly on school reform, Hirsh-Pasek and Golinkoff underscore the point that the opportunities for bringing developmental science into everyday life are truly much broader in scope. Their latest venture, called Urban Thinkscape, is focused on creating “smart” cities, and they’re collaborating with architect Itai Palti to explore how they can embed the science of learning into the very structural elements of a city, from its street lamps to its bus stops. “Many of us are reticent to put our findings into the marketplace of ideas because we’ve been trained to be skeptics. We want to run that next experiment and that next control,” Golinkoff noted. “But we actually know a lot based on strong bodies of data that can be used to inform the public. To see Hirsh-Pasek and Golinkoff’s award address, click here.